ExxonMobil representatives (and UT engineering alumni) Andrea Gerrity and Geoff Sanders visited UT and made a donation to the Departments of Earth and Planetary Sciences, Chemical and Biochemical Engineering, and Civil and Environmental Engineering. 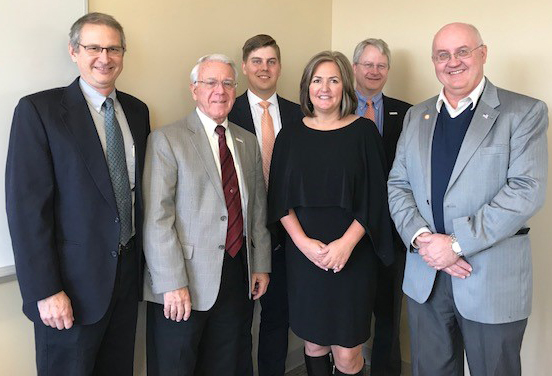 Pictured are Andrea and Geoff, along with Wayne Davis (dean of Engineering), Larry McKay (EPS), Chris Cox (CEE), and Paul Frymier (Chemical & Biochemical Engineering). EPS typically uses these donations for graduate fellowships.